The low country did not get the big snow, but the temperatures did dip low. And to keep warm, this Resort Girl craved some southern comfort food. Are you a Resort Girl or Guy craving authentic southern comfort food to melt away cold winter days, too? Maybe a pot of oxtail stew will do for you. Recently, I was reading an excellent article in “the Bluff”– the magazine for Palmetto Bluff Plantation mentioning a local small grocery/meat market. Since this Resort Girl recently discovered she likes to cook southern gourmet, I put this spot, Scotts Market, as a stop on my afternoon vacay in Bluffton, S.C. to check out the goods. 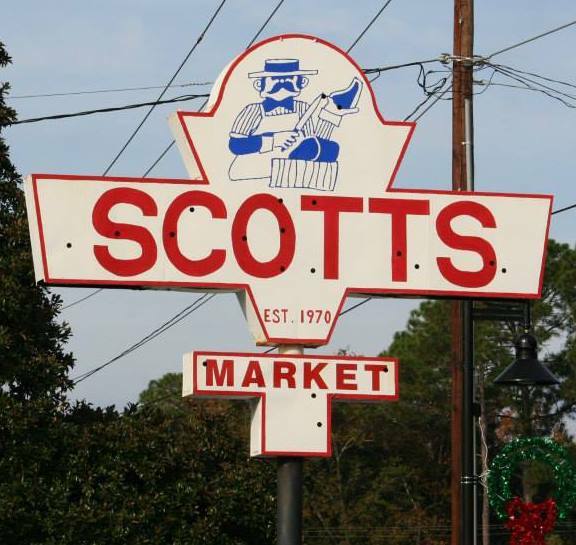 As the Bluff article mentioned, Scotts Market has been referred to as “a State of Mind” and is known for carrying the finest cuts of organic and grass-fed beef as well as a wide selection of fresh produce. Many times, my car cruised by the quaint shopping center in downtown Bluffton and I noticed their signature sign. It has always caught my eye with its authentic design– like a blast from the past. And according to the article, the sign design is from the original 1970s-era store. Upon entering the market that afternoon, I felt like it was a throwback to the old days of warm country grocery stores. Your name was known, your tastes were noted and service was delivered with a wide smile. As I peeked into the variety-filled meat cooler, I spotted the store’s third generation owner, Adam Simoneaux, behind the counter. Adam was artfully trimming some meat. A customer came up beside me and asked Adam just what he recommended on this cold winter day. 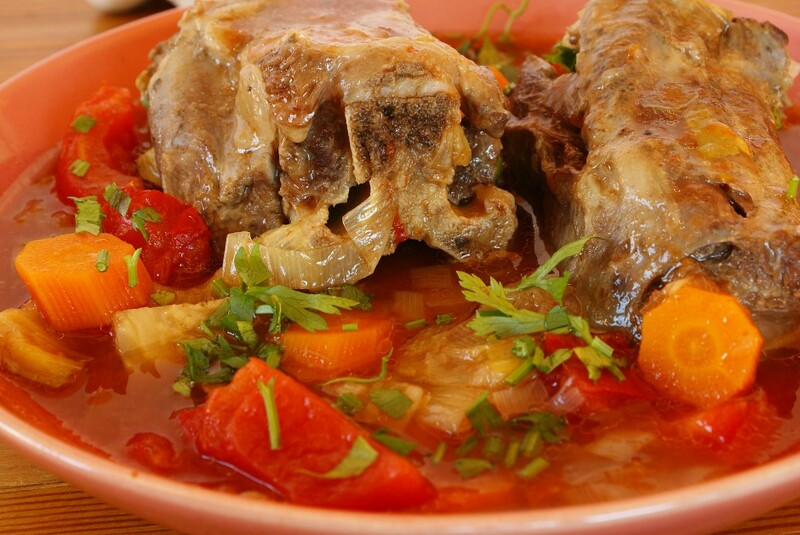 “A pot of Oxtail Stew,” he quickly answered. I looked back in the cooler and there sat the plump package of oxtails, which I had never seen before in my life. My mind went on to imagine just what that hot pot of oxtail stew might taste like on this winter night. I did pass on buying the oxtail that afternoon as this kind of stew is new to me. But, I have been researching ways to fix up some oxtails. First, the meat is generally a cow tail that is cut up into pieces. I can image how Adam’s expertise comes into play when chopping them up. And there is much you can do besides cooking up stew, but a hot pot is what makes my mouth water the most. So how will this tale end? With my new oxtail knowledge in hand, this Resort Girl plans to go back to Scotts and buy a package of those oxtails…and make me up a pot of stew! So, what is one of your favorite stews, Resort Girls and Guys, to cook up on these cold winter nights? Every Friday, this Resort Girl attends a beginner one-hour tennis clinic taught by Tennis Director and Pro, Mike Sutcliffe of Palmetto Bluff Resort in Bluffton, S.C. One of my Resort Girlfriends started up this class as a fun, carefree way for our plantation’s RGs to learn, or get back, their tennis game. Thankfully, Mike agreed to teach the class for us. He played for the College of Charleston, and previously taught at South Beach Racquet Club and Wexford Plantation on Hilton Head Island, S.C., as well as at Kiawah Island Golf Resort. This makes Mike a Resort Guy to Know. 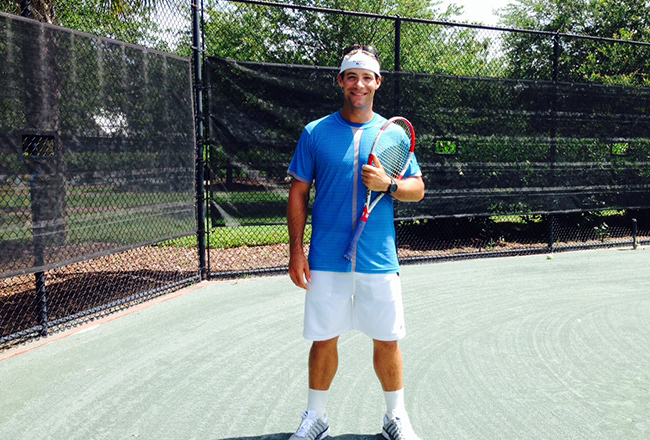 I am glad to know him personally, as he is getting my tennis game back through a series of 10 private lessons in addition to the group class. Trust me, there are many improvements to go in my swing and such, but he has given me the skills, but mostly the confidence, to want to play again. Follow Through: In life and in sports, this is very important. Mike kept coaching us all to see our elbows on Friday. (You say what?!) Follow all the way through a swing until your elbow is at eye-level. This technique worked for me! My shots had been coming up short of the net until my elbows came into view and followed through on each one. Try it! Accelerate: Be aggressive – on the courts, that is. As women, I think we sometimes tend to hold back and especially in a class with our fun RG friends. But, in most cases, in order to achieve the best tennis shots, acceleration and aggression is a good thing. Mike keeps telling me to accelerate through my swing and to hit the ball back hard to him. It definitely improved my shots and gained me some points. Both of these concepts were easy for me to comprehend, as Mike pointed out to me that they are part of a golf swing. And, being a seasoned golfer, it made sense. Many times one sport compliments another, and it’s often easier to pick up a skill in one sport by relating the techniques of another. So, get your tennis game back on the move, by suggesting and starting up a beginner Resort Girl tennis lesson at your club or community courts. It is a fun way to socialize, build skills and enjoy the outdoors. 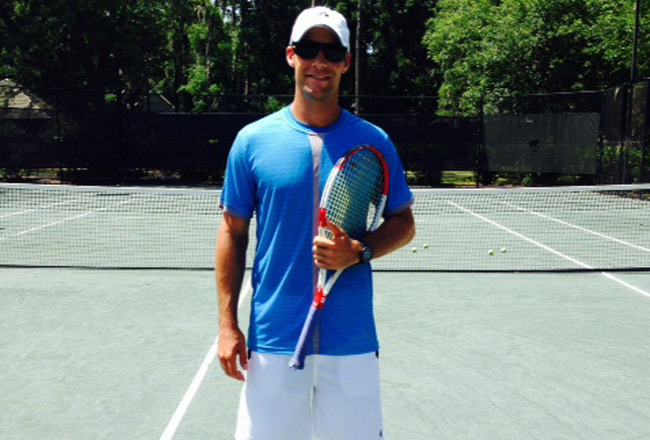 And when visiting Palmetto Bluff, take a tennis lesson with Mike Sutcliffe on the 8 beautiful clay courts surrounded by the beauty of the Low Country. You can contact him at 843-706-6635.